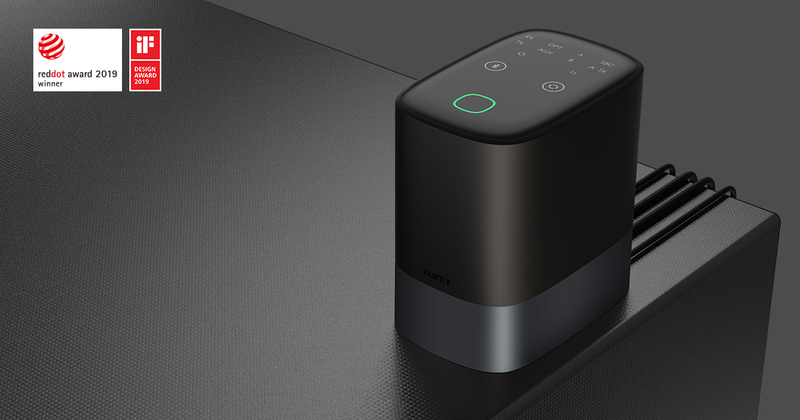 Success at international design awards is starting to become something of a tradition for AUKEY, and 2019 has so far been no exception. 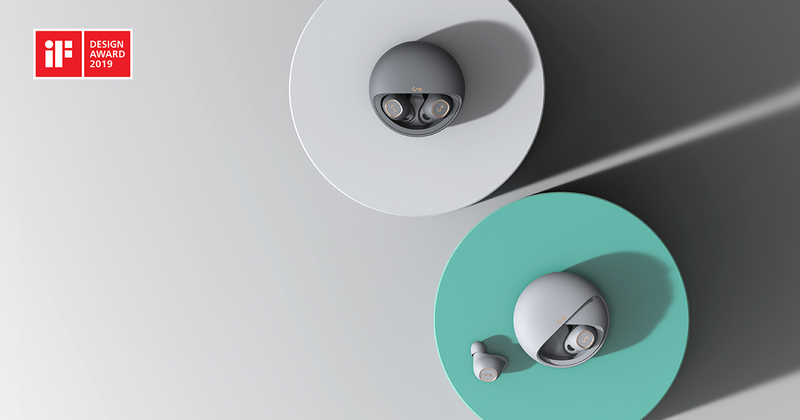 March saw the winners announced for two major design competitions, the Red Dot Design Award and the iF Design Award. In both cases AUKEY came away with three awards, a satisfying "double-triple" and a resounding seal of approval for our latest products. Both of these awards are German-based and have considerable history and prestige. 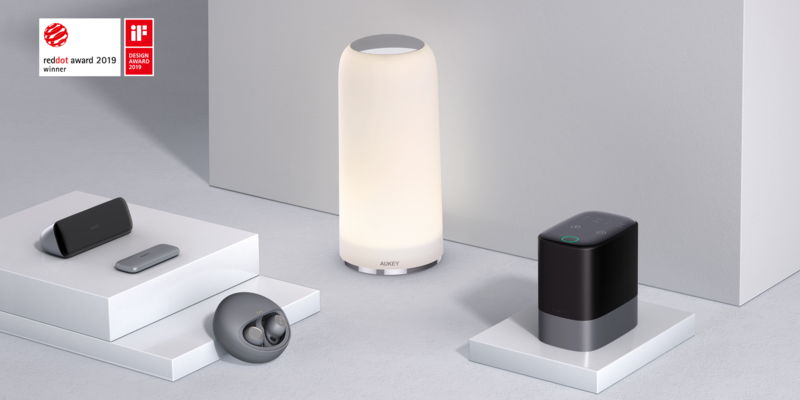 The Red Dot jury was comprised of 40 international experts, and for the iF design award AUKEY's designs were closely scrutinized by a team of no fewer than 67. Both contests saw many thousands of entries from across the world, so to win so many awards in the face of such strong competition is definitely something worth celebrating. So, what kind of consumer electronics is considered world-leading in 2019? Let's take a closer look at the stars of the show, the winning designs. Customers and critics alike have been impressed by the elegance and usability of this simple but practical touch-control LED lamp. 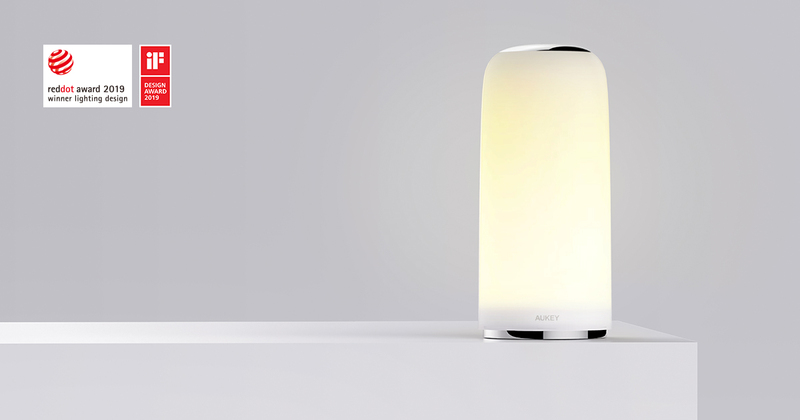 It produces warm, diffused light that is easy on the eyes but bright enough to use when reading. The exact brightness can be adjusted using an intuitive panel on the top of the lamp, and after being switched off it returns to the setting previously used. The styling is understated and minimalist, meaning it won't look out of place in any bedroom, living room or office. This compact device can transform the way you listen to music and use your media hardware. It allows you to stream audio wirelessly from non-Bluetooth devices to Bluetooth-compatible headphones or speakers. Not only that, but you can also go in the opposite direction and stream music from a smartphone or other device to a non-Bluetooth speaker. The possibilities are endless. 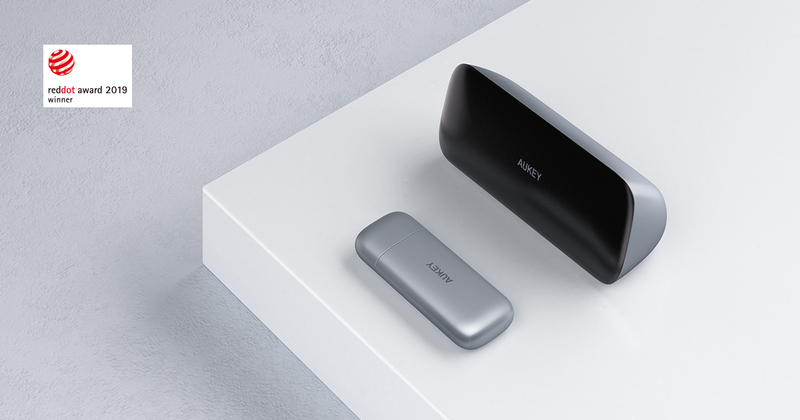 Bluetooth 5.0 means a longer wireless range than ever before, and support for aptX Low Latency ensures high-quality audio that is perfectly in sync with the pictures from the television (ideal for gaming). All this functionality comes packaged in a sleek little box that blends in perfectly into the rest of your media setup. This stylish little bar-shaped device is able to wirelessly stream 1080p high-definition video content from your computer or other hardware to an HDMI-compatible display or monitor. This removes the need to have to run long cables across your living room or through an office. The 15 meter (49 feet) range gives you plenty of flexibility even in large conference rooms, and the sleek transmitter and receiver units are prime examples of understated elegance and contemporary design. It's never been easier to get your entertainment media or important presentations onto a big screen for crystal-clear high-definition viewing. These stylish and ergonomic true wireless earbuds are carefully crafted to achieve a comfortable fit and a perfect seal. Both buds can be tapped or pressed in various ways to adjust the volume, change the track, play or pause, or access your phone's assistant. This can all be achieved without the need for separate buttons or an independent control panel, adding to the freedom that true wireless brings. Dynamic drivers and graphene diaphragms help bring a full and crisp sound, and the 7-hour battery life means there is plenty of time to enjoy it. The option to recharge the stylish charging case wirelessly means it's possible to enjoy a 100% wireless experience at every stage of use.